Our carpet cleaning services are non-toxic, safe, fast drying, and we use the deepest cleansing method available with our truck mounted steam cleaning system. 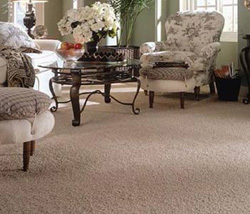 Regularly scheduled carpet cleanings and following our carpet care tips can have many benefits. Call (253) 588-2100 today or use our convenient contact form. As members of the IICRC (Institute of Inspection Cleaning and Restoration Certification), Wolfe’s Steam Carpet Cleaning Technicians are acutely aware of the important HEALTH BENEFITS to having your carpets professionally cleaned and maintained. Professional cleanings not only work to eliminate certain health risks, they also save money, by extending the life and luster of your carpet and flooring. In a recent survey by the American Academy of Allergy, Asthma and Immunology, more than 50 percent of homes had at least six detectable allergens present. To keep your allergies at bay, schedule regular cleanings and maintenance with a Wolfe’s Carpet Cleaning Technician. The US is home to approximately 68 million dog owners and 73 million cat owners, which equals thousands of tiny “accidents” on carpets that require quick cleanup to remove bacteria and odor. For tips on proper cleanup, new and old homeowners alike can seek advice from a professional. Don’t allow direct sunlight to shine on carpet all day, every day. This will cause fading.